Associate membership is perfect for anyone with an interest in trees. It’s also an excellent option for those starting out in the industry and looking to develop their career progression. Associate membership can be attained by anyone with an interest in trees or in the tree care industry and is an excellent tool for anyone looking to get into the industry ,or simply for those who want to advance their knowledge and keep in touch with latest news and studies, equipment and key issues. Associate Membership costs £139 per year for UK members. You can pay in several ways, including monthly Direct Debit and card payment. Please note our membership year runs from 1st January to 31st December, so if you join midway through the year, your fee will be prorated to the nearest quarter year rate. Members joining in December will pay for the next year and receive December free. Overseas members will be charged a small additional shipping fee included in their membership rate. Membership discount card – An Associate membership card entitles you to some fantastic offers from a host of over 40 suppliers in the industry. From clothing to software and even hotels, there’s plenty of perks for all our members! 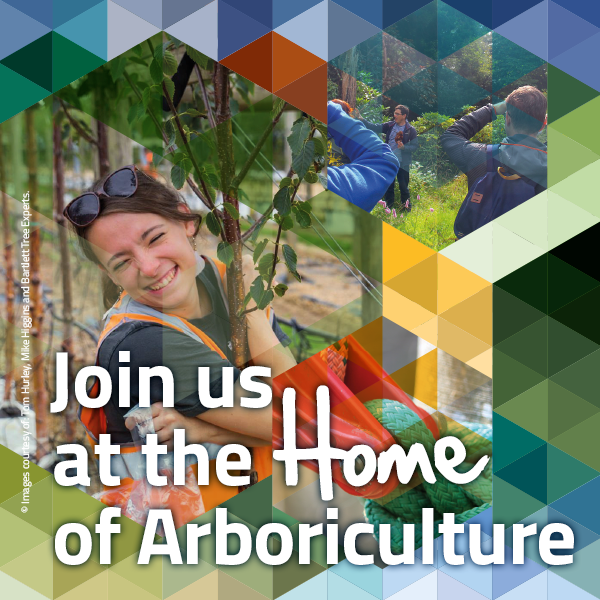 FREE entry to our annual ARB Show which attracts over 3,000 visitors and currently takes place at Westonbirt, The National Arboretum. Featuring a wide range of tree care industry exhibitors, there is lots for you to see and do at this hugely popular national event. You can check out the latest equipment in the showground area and you get free entrance to see the internationally renowned tree collection. Monthly eNews bulletins – the Association’s monthly e-mail newsletter is a concise digest which keeps you up to date with the latest Arboricultural Association news along with important cross industry developments and offers. Arboricultural Journal – the Arboricultural Association Journal is a valuable resource to practicing and studying arborists. As a student member you get online access to the full library of back issues and will receive copies of the latest issues throughout the year. AA Training Course Discounts – Associate members are all entitled to make the most of the varied course content on offer at significantly discounted member rates. We offer courses on everything from Climate Change and Subsidence, to Professional Tree Survey and Inspection. Membership Discount Card – A student membership card entitles you to some fantastic offers from a host of suppliers in the industry. From clothing to software and even hotels, there’s plenty of perks for all our members! Access to FREE advice from Arboricultural Association Technical Officers - as a member you are entitled to FREE advice from our technical officers who are on hand to advise you on anything from TPOs to health and safety and best practice. After your membership application is confirmed you’ll receive your welcome pack which will include your Membership Card for the year with your official membership number.